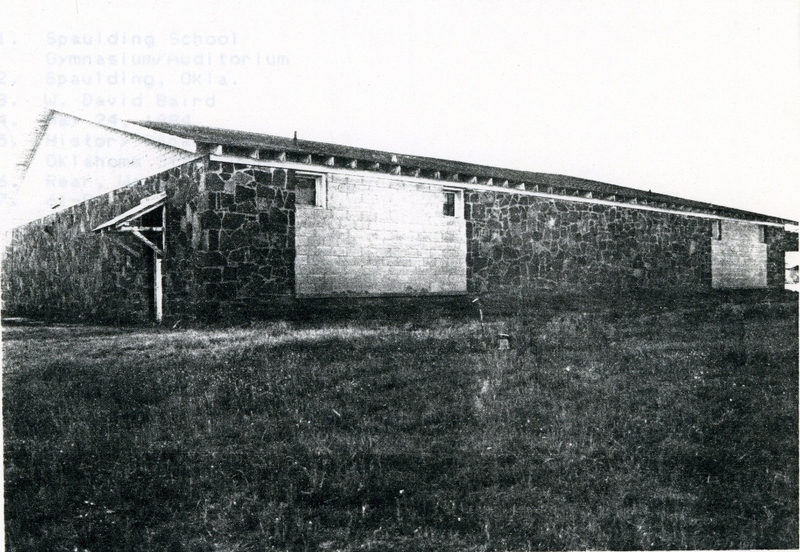 The Spaulding gym and auditorium is a single story, rectangular (90′ x 80′) structure constructed of untooled and uncoursed native sandstone. Now covered with composition shingles, the roof is gabled. Window openings on the front, which reach to the eaves, have been enclosed with wood inserts; those on the east rear have been enclosed with concrete blocks. From the west front, however, the architectural integrity of the building remains unimpeached. 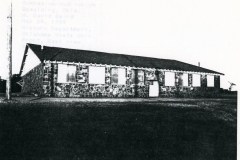 The gym/auditorium is significant because its construction provided jobs for destitute, unemployed oil field workers in the Spaulding, restoring to them some personal pride and some economic security. 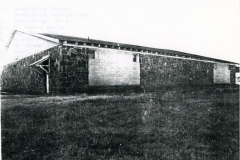 It is also important because it provided space for school and community activities, especially basketball, which fostered a sense of identity and purpose not widely known in the region earlier on. It remains a focus of pride for a people whose town has all but disappeared. Within the community itself the structure is unique architecturally because of its type, style, scale, materials and workmanship. 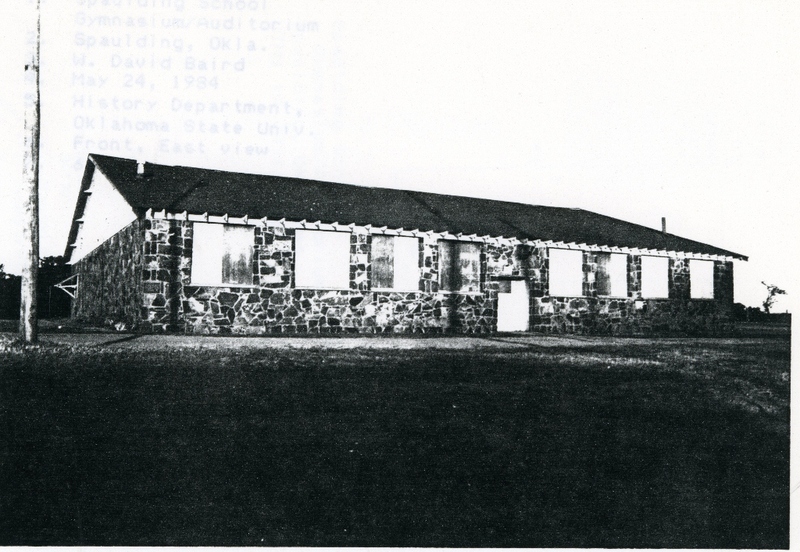 As a WPA gym/auditorium, it is wholly unique in southeastern Oklahoma in terms of roof line and window placement patterns.